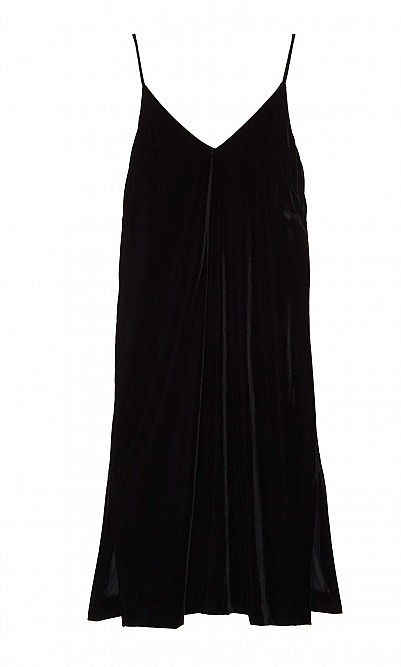 Simple black velvet dress cut to fit loosely and styled with skinny straps, V-neck and side slits. L115cm. Dry clean. Fabric and care: 95% Polyester 5% Handwash. Lining 100% Polyester. Cool handwash.